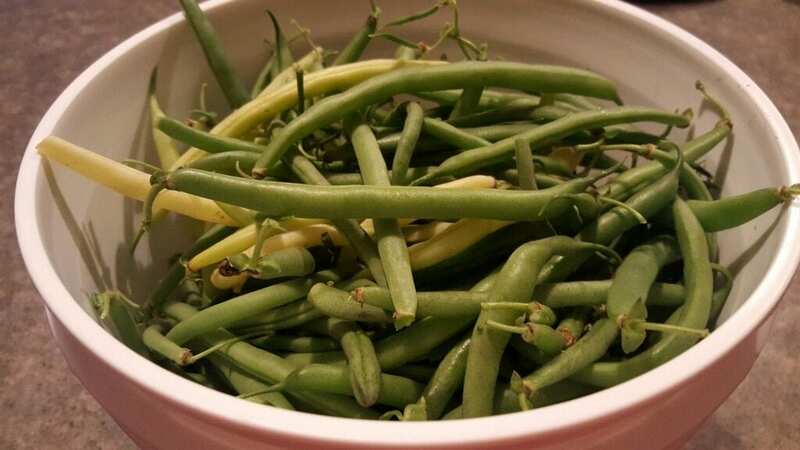 What do you do with green beans that have gotten a little on the large side? 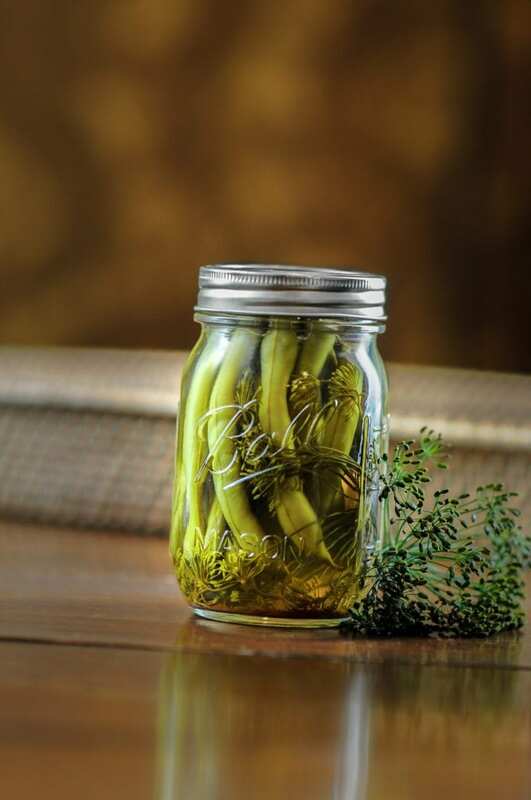 Make Dill Pickled Green Beans! Our family loves these green bean pickles and they are very easy to make. They make a good snack or lunch box treat for all ages! Wash the dill and place 1 head in bottom of each pint jar along with 1-1/2 cloves of garlic. Wash and drain green beans. Remove stem end and pack into jars. Combine water, vinegar, salt, cayenne and pepper flakes in a medium pan and heat to boiling. Pour over beans and process in hot water bath 10 minutes. Allow pickled beans to sit 10 days after processing before eating. Some of the items we use for canning are the Ball Mason “PINT” Jars Wide-Mouth and my latest discovery? The Ball FreshTech Electric Water Bath Canner. This slick machine really is the ticket if you have a flat surfaced cook top or if you’d like to speed up your canning process.